Electronic Payment Systems is the quintessential American success story. What began in 1994 as an idea to improve credit card processing blossomed into a growing business. We continuously learn, evolve, and grow in response to our customers – merchants like you who live in an ever-changing world of sales, shopping habits, and payment preferences. We operate our business today with the same philosophy with which we created the company back in 1994: Customer First, Always. We live and breathe this through our commitment to customer service, our collaborative approach to relationships, and our never-ending quest to bring you the payment solutions that enable YOUR business to grow. We’re so glad you’re checking us out. 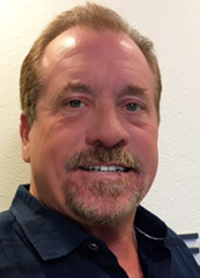 John Dorsey is an accomplished CEO with years of success in growing businesses from the ground up, beginning his career in the payments industry in the mid 80’s as a sales agent offering credit card processing services to businesses. At that time, only traditional banks offered credit card acquiring services, and getting merchants approved was extremely difficult as most banks did not want to take the risk. John’s strong entrepreneurial spirit combined with strategic insight and foresight, led him to the challenge of overcoming bank obstacles, enabling “Merchant Services” to be marketed and sold on a much broader basis. He was instrumental in the rapid development of the Merchant Service Provider and Independent Sales Organization (ISO) industry that exists today. To this day he remains active in the businesses he creates, living and breathing the philosophy which all of his businesses were built on: the customer comes first! Tom McCann is a serial entrepreneur with extensive corporate management experience who has taken numerous small businesses and turned them into large profitable companies. His specialties include operations management, transaction processing solutions, mergers, acquisitions and contract negotiations. 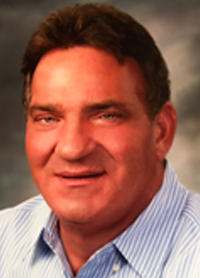 Tom has served in executive capacities for over a dozen companies, becoming involved in the payments industry while he was principal of a lease funding company in the late 80’s. 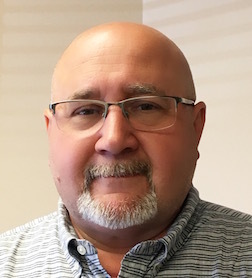 Tom is engaged in the high level strategic planning and execution of EPS contract negotiations, developing strategic alliances with leading banks, processors, ISOs, and vendors within the market. The combination of Tom’s financial management background and John’s credit card processing sales expertise created the perfect alliance. In 1994, they co-founded ElectCheck Guaranty which turned into the EPS we know today. Anthony “Tony” Maley is our Chief Operating Officer. He has been in the merchant services industry and EPS for 20 years. Tony started as an MLS for a company in Cleveland Ohio, which is where he met John Dorsey. Tony quickly determined that he could do much more than just outside sales, and as fortune has it John felt the same way. A friendship was formed that lives on today. Tony by nature is analytical and practical at the same time. He has a unique talent for gleaning reality from data, and works well with the banks and processors he is required to deal with on a regular basis. His responsibilities include general oversight of all EPS operations and project management. He maintains the accounts for EPS and reconciles settlement data with the bank. Tony is a member of the ETA and NACHA and has served on several committees. Chonda Pearson is a critical team member in our business, handling all inquiries for new applications from merchants. 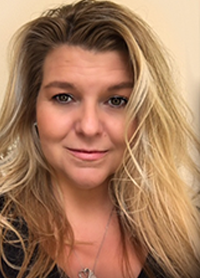 In her role as National Accounts Manager, Chonda works with some of our major accounts as a personal liaison, dealing with their unique needs, and she’s also a key contributor to our agent/ISO relationships. She works closely with the company officers and promotes their overall vision to the rest of the company (while keeping them on track!). She has been with EPS for over fifteen years and has held several positions within the company during that time. Chonda started with EPS in Customer Service and eventually moved herself up to be the manager of the department. Her transition to this position filled a sorely needed role, and her contributions to EPS, our customers, and our agents are immeasurable. Rob Johnson is our Data Processing Manager for over 8 years. Rob first started at EPS as a representative in Customer Service; however with his great attention to detail it didn’t take long for us notice he was a better asset to our processing department. Soon after entering his new position, his dedication, strong leadership skills and thrive for perfection improved our productivity and the turnaround time in the review and boarding of new applicants. Along with managing Data Processing, he manages multiple projects in various aspects of the company, serves as our company liaison in operations and all while monitoring EPS’ compliancy with the rules and regulations of Visa®, MasterCard®, Discover® and NACHA®. 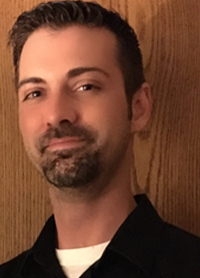 We rely on Rob’s troubleshooting skills and his prompt assistance in helping resolve escalations if they occur.